Leicester City have completed the £25m signing of Manchester City striker Kelechi Iheanacho. The month-long transfer saga has finally come to an end with the 20-year-old Nigeria international confirmed as a Leicester player on a five-year deal. 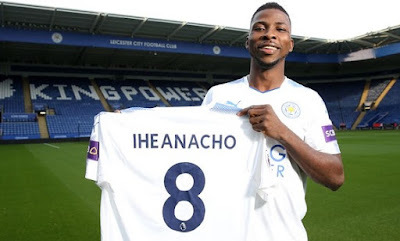 Iheanacho completed his medical at Leicester on Tuesday and has become Craig Shakespeare’s fourth signing of the summer. Iheanacho said: "It feels good and I’m happy to be part of this team. I know the ambition of the team and speaking with the manager, he let me know what I need to do – to help the team achieve what they want. I was convinced and I’m happy to be here.